March 9, 2019 February 7, 2019 by Robert Ortiz-Abreu, Jr. The 1775 Winter 2019 edition is almost ready for mailing. Have you selected your hard copy edition? As an AGCRA member and in order to save the Association money on publishing and mailing, your default setting is to read the 1775 digital copy that the Association posts to AGCRA.com at the following link. 1. To help cut down printing and mailing costs of the magazine and pass these savings on to our members. 2. 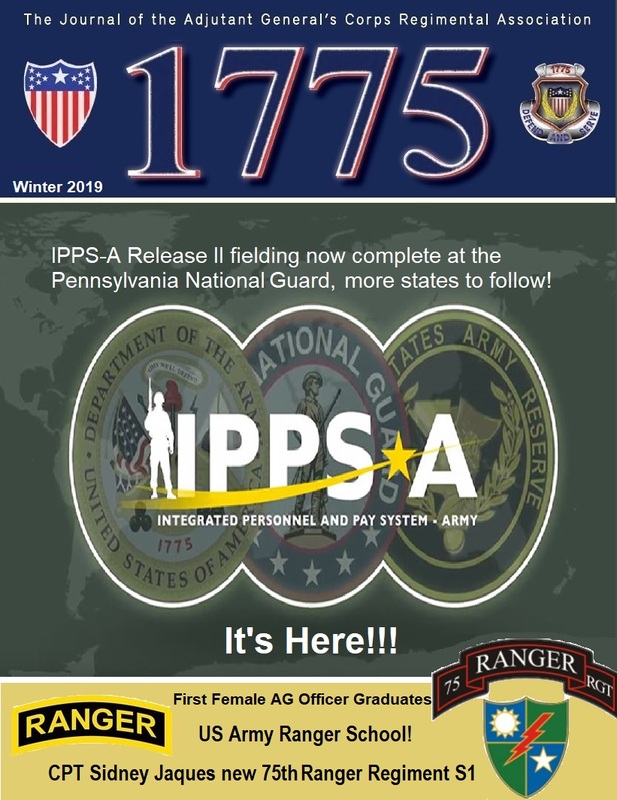 For those AG Soldiers and Army HR Professionals who are constantly on the move due to PCS, deployments, and / or high OPTEMPO, a digital copy of 1775 is always available on AGCRA.com. By accessing the 1775 digital copy, you’ll never have to worry again if your hard copy magazine will find you. You can find all 1775 digital copies by clicking “Content” at the top of our Home page, then click “1775“. 3. Instructions for those members who still prefer a 1775 hard copy version are provided below. a. The hard copy option of 1775 is now in the your AGCRA membership account info section. b. Once you are logged into AGCRA.com, click either “My Account” at the top right portion of the Home page, or click “Membership” or “Shop”, and then “My Account” to review your account information. You can also access your account by clicking the link below. c. The 1775 hard copy option is in “Account details” on the left. Then scroll down to “How to Receive 1775 Magazine (for active members)” and select the option you want. d. The default selection is “No hard copy”, so you must change this option if you want a hard copy of 1775 mailed to you. e. You must also keep you mailing address current within your AGCRA membership account info. We’re encouraging AGCRA members to check all info in their membership account file. Contact Membership@agcra.com if you have any issues.